Dateline: We know you’re one of the producers of this Monday’s Dateline. We have a few questions. How did you get to work on the case in this Monday’s report? 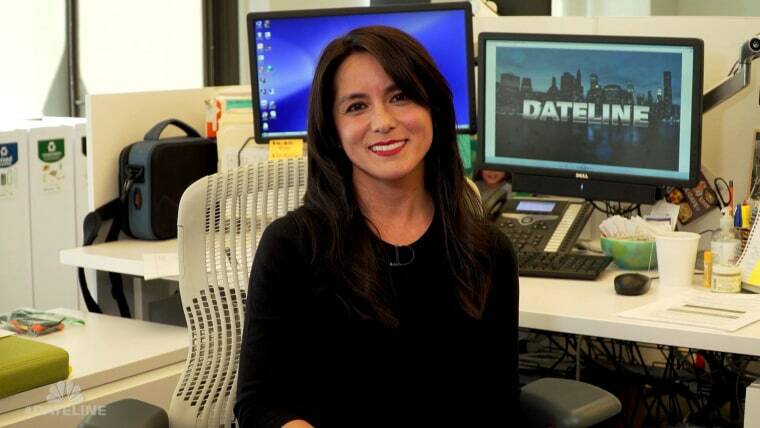 Jessica: I inherited this story about two months ago from another Dateline producer who was busy on another case. Jessica: It’s a story about a beloved, single dad who wanted to create the best life for his youngest daughter. By all accounts he did, until one winter night in 2016 when that perfect father-daughter relationship was completely destroyed… forever. Jessica: We shot a couple of our interviews at a space called Tortuga Gallery – a community art gallery – located in a residential area of Albuquerque, New Mexico. The owners told us that it was built around the 1880s as a general store for the neighborhood. Today local artists, musicians -- and now Dateline -- use it as an open space that can be tailored to meet individual needs. Dateline:What’s the best thing about working on a story with Dennis Murphy?